Senior Nyah Patel has an abundance of school spirit and always has a positive attitude. 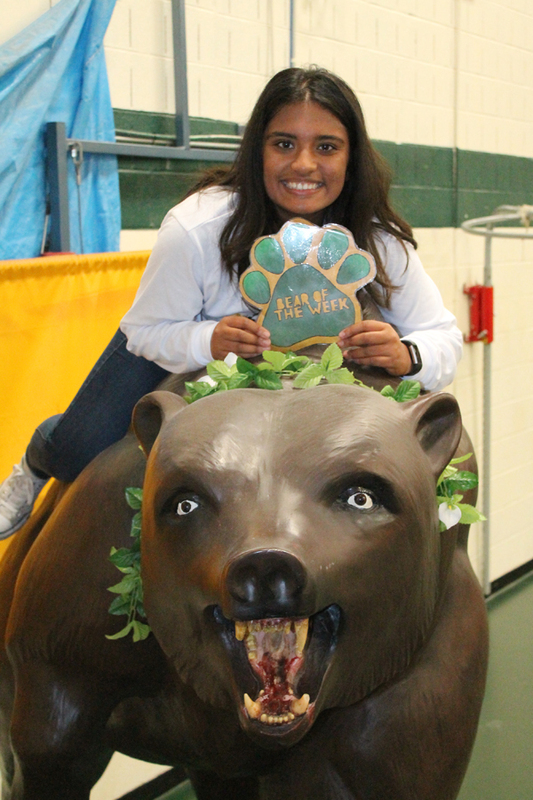 Senior Nyah Patel is an active member of the Battlin’ Bear Band, Interact Club, HOSA, National Honor Society, UIL, and the Julie Rogers Gift of Life Youth Council. She looks up to her parents and teachers as her role models because they always support her and guide her through life. Patel said she wants people to view her as someone who is hard working and has a big heart. Patel is motivated by knowing that hard work pays off. She said it is important to apply one’s whole heart and mind to something if it’s worth it. Patel hopes to step foot in all seven continents in her lifetime and by the end of this year, she will have visited three out of the seven. In her free time, Patel travels with her family and friends. She also enjoys finding a new series to watch on Netflix. 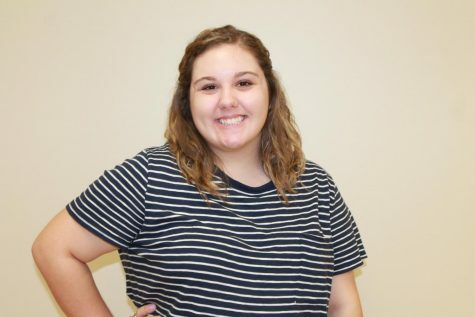 She finds meaning in knowing that she has impacted people’s lives in a positive way. A fun fact about Patel is that in 2012, she met Kyle Massey (“Cory in the House” actor) in Los Angeles, California. “It was so cool and he even gave me a free t-shirt,” she said.